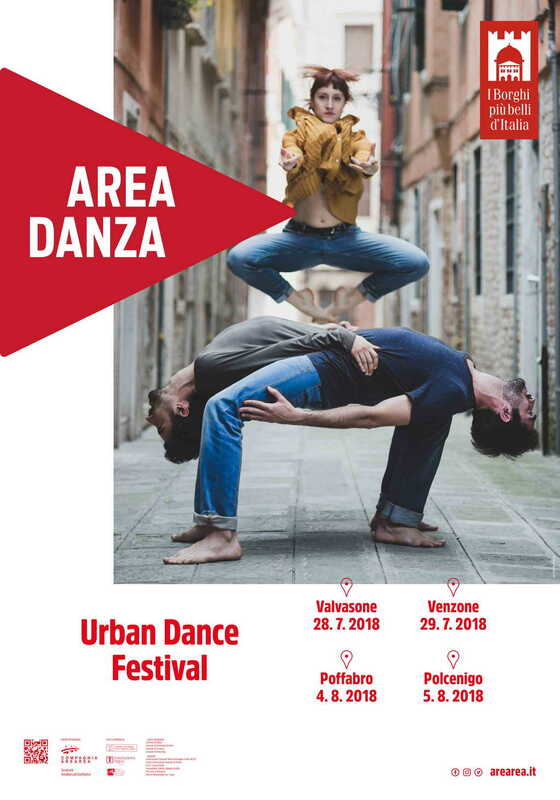 Areadanza is the only festival in FVG region focused on urban dance. Its debut is in 2007 under the artistic direction of Arearea Company. Areadanza brings dance out of theatres and incorporates it in natural and urban architecture. Gesture generates movement; movement puts us in relation, relation builds a sensitive community. 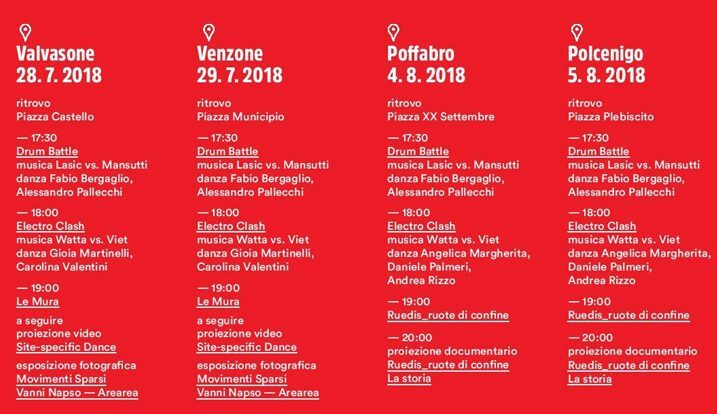 For the next edition, AreaDanza sets up a four-day event inside the network of “I Borghi più Belli d’Italia in FVG,” consisting in traveling dance performances accompanied by live music. Through its direct and universal language, dance steps forward as a cultural vehicle for approaching different audiences and as an artistic tool for cultural and architectural local heritage fruition. Between July and August 2018, AreaDanza will harmonize with the urban setting of the municipalities of Venzone (the most beautiful “Borgo” in Italy in 2017), Valvasone, Poffabro, and Polcenigo. Through the dialogue between urban dance and live music, Arearea intends to promote a new, fresh and empathetic way of experiencing and re-discovering the urban spaces of everyday life. The site-specific dance, brought down and integrated into the landscape, will allow a more emotional and intimate approach between the architectures of the “Borghi” and the architectures of the body.